Yesterday morning was our first Sunday back since we returned from the States. What a rich service it was and one that overflowed with joy. 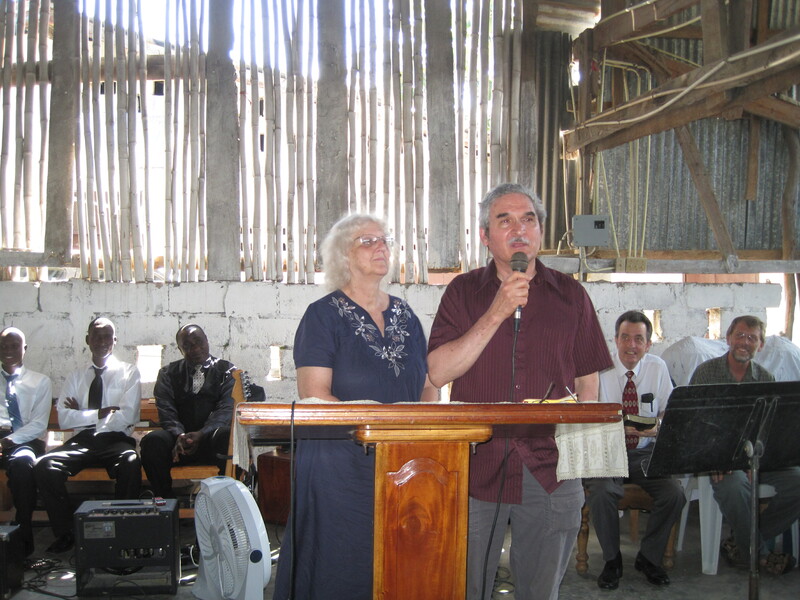 Former missionaries to Haiti, Daniel and Celia Picasso, were our special guests. Daniel was an M.K. (missionary kid) who grew up in Haiti in the 1950’s and 60’s. He instantly connected with our people. This was his and Celia’s first trip back to Haiti in 10 years. Daniel’s father worked at the 4VEH radio station. Daniel met Celia in Haiti and raised their family here as well. Three generations of Picassos labored in Haiti’s vineyard. Daniel and Celia now reside in Alaska. Daniel recalled walking on the property of our church as a young boy with his father when the land was nothing but marshland. They were searching for somewhere to erect the antennas for the radio station. He remembered vividly the barrenness of the neighborhood. Of course, he couldn’t know that later he would bring a message on that same land to a vibrant church! His message of faith in the power of God stirred our people to believe for great things. At the closing of the service, 536 people took the Lord’s Supper together. Afterwards, we drove to town where we ate and fellowshipped with the Picassos and the Moxons. Bill and Darla Moxon are fellow missionaries with whom the Picassos are visiting. Bill will be preaching for us next Sunday. 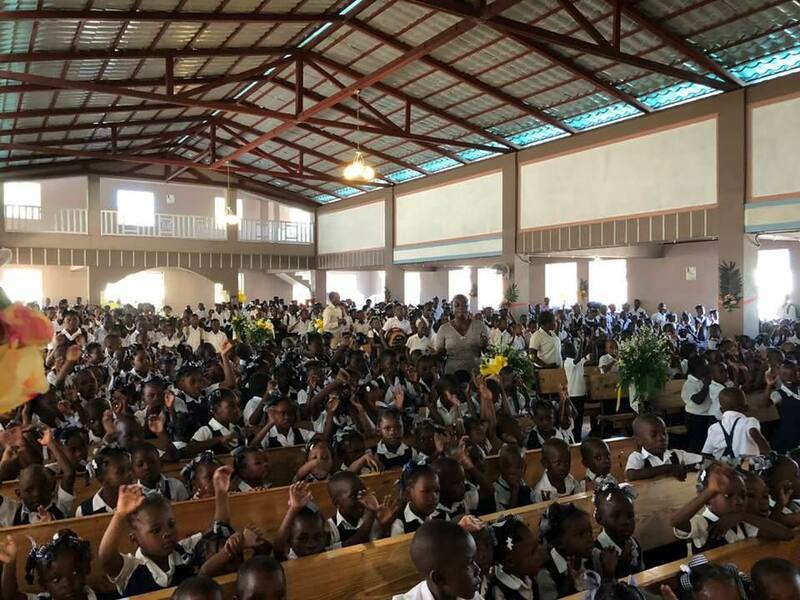 After a great time of eating and sharing, we regretted having to leave so quickly for the 4VEH radio station where the English service for missionaries and English-speaking Haitians was being held. Prit had been invited to share. We had a great reunion with many fellow missionaries that we don’t get to see on a regular basis. Because we’re all so busy, our paths don’t cross very often. It was a full and fruitful day and we were happy when we finally got home!